Come to my book signing! I am pleased to be reading at Book Warehouse Main Street on Sept. 28th from 7pm onward. 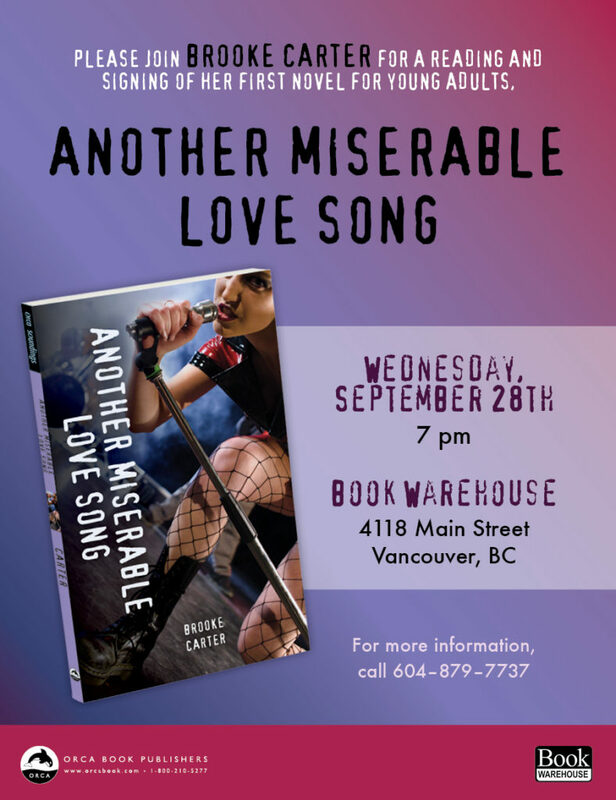 Come on out and hear me read from Another Miserable Love Song and get your copy of the book signed.